We all love showing off that holiday glow, but there’s nothing worse than your lovely bronzed look fading by the time you get back to work! Fear not, we’ve got some golden rules and top tips on how to make your tan last longer. Warning – if you’re going out in the sun, ALWAYS use sun protection, and make sure you take regular breaks away from the sun. Remember, you can still burn in the shade and underwater, so head indoors if possible. Only exfoliate before going on holiday or being out in the sun, not afterwards. Exfoliating helps remove older, dead skin cells, giving you a deeper and richer tan that will last longer. Check out our Kiss Exfoliating Body Scrub, or range of Fruits body scrubs which are packed full of fruity fragrance. If you’re going away, the tropical scent of our Fruits Cool Coconut & Vanilla Body Scrub will help get you in the holiday mood! Before going out in the sun, use a hydrating shower gel. This will moisturise your skin and help give you a lovely bronzed glow. You can have a good scrub with a rough sponge at this point if you like, but avoid it after you’ve got a tan as this will have an exfoliating effect. Burning reduces your chance of getting a long lasting tan, and also increases the risk of skin damage. 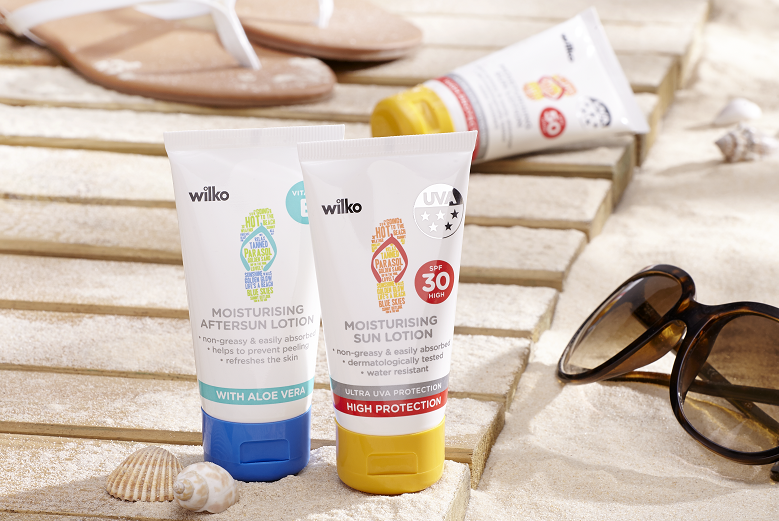 Check out our wilko brand suncare range, which is formulated to provide effective protection against harmful UVB rays which cause sunburn, and UVA rays which cause long term skin damage and premature ageing. 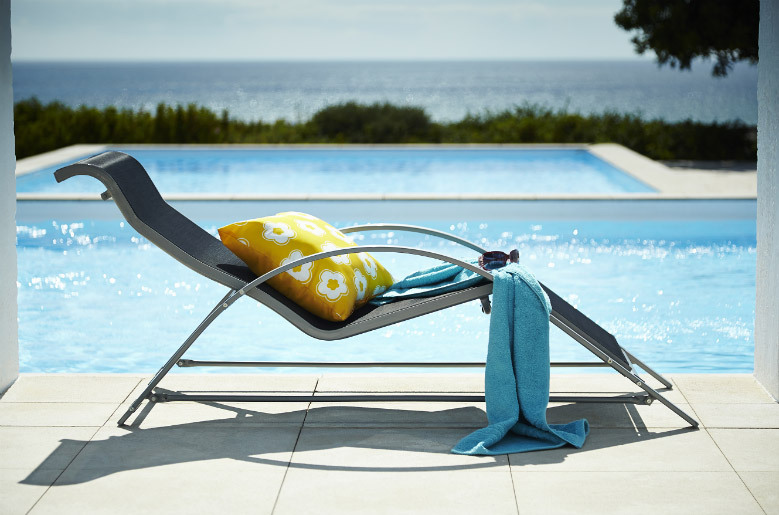 The range has been awarded a maximum five-star rating against skin damage caused by UVA rays, so you can be reassured that you’re getting the best protection available. Arguably the most important step! Slather on moisturiser as often as you can. Hydrated skin will prevent peeling, making your tan last a few extra weeks. As soon as you’re out of the sun, apply aftersun lotion to moisturise sun-sensitised skin, as well as cooling and soothing it. Look out for aftersun which contains aloe vera, which will help bring back moisture while soothing the skin. Our aftersun with aloe vera is ideal for restoring natural moisture levels, helping you keep that holiday glow for longer! When you’ve got a lovely tan, try not to wax. If you normally shave with a wet razor, use an electric shaver for a few weeks, as this won’t remove as many layers of tanned skin cells. Drink (water) like a fish! Drink as much water as you can to keep your skin hydrated and ultimately prevent peeling. Scientists believe that water helps extend the life of your cells, so drink as much as possible. Use products that contain a hint of fake tan, and apply a little bronzer across your cheekbones, nose and forehead to highlight areas that are naturally tanned. Unfortunately, your tan will eventually fade – but don’t worry, we’ve got everything you need to get a great fake tan!